We read so much about minimalism, the simple life, Hygee and Lagom and the many benefits to having a clutter-free home. But we also know that nothing changes our interior design style quite as much as having a family. Ugly plastic toys seem to breed overnight, the laundry pile starts to look like a Tracey Emin exhibition - but does it have to stay this way? We spoke with two London mothers who have created calm, tranquil homes that embrace family life and their suggestions may help you regain the minimalist vibe in your own home, in your own way. What does the word 'minimalism' mean to you? I was just in the middle of answering this question when my daughter came up to me and said “mum let’s play”. I’m so happy that a minimalistic lifestyle gives me time for great moments like these. So this is what minimalism means to me: ‘it’s removing all unnecessary distractions so that we can make room for what is truly important to us and things that add value to our lives’. Has that definition changed since becoming a mum? This definition of minimalism has not changed for me, however my life has. The things that that add value to my life have changed. 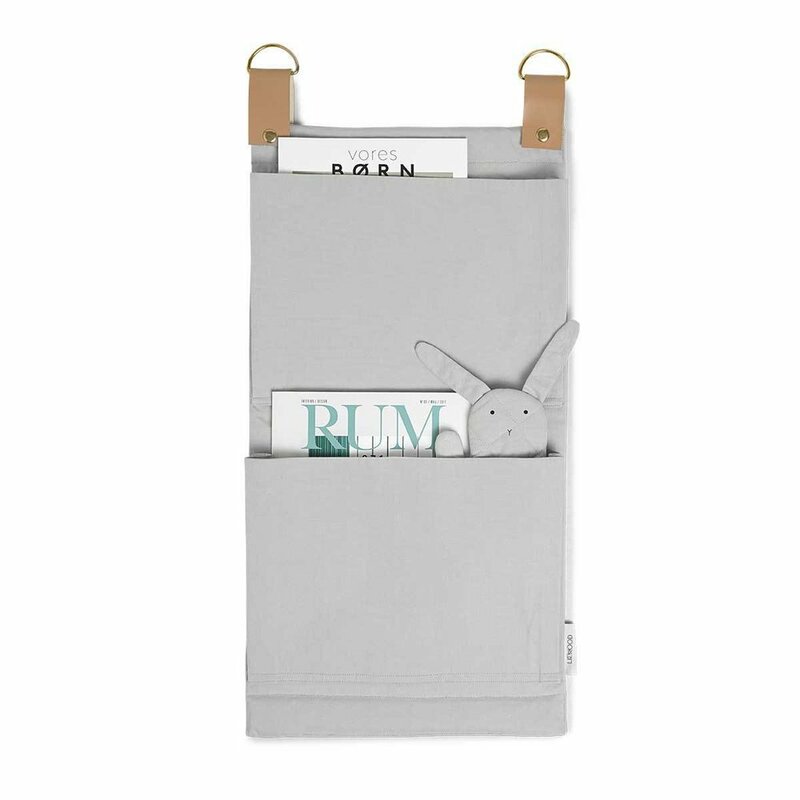 Previously I had more time for myself and my work as a capsule wardrobe and interior stylist. Even though this is still important, I value family time more. I believe we never regret the time we give to our kids, especially in the very early years. This is why I’m so passionate about helping others, especially mums, with simplifying their wardrobes and homes so they too can benefit from the freedom it gives. Another added bonus is that cleaning and tidying gets easier too, we all love that right! When you have kids, it’s impossible for your home to be perfect all the time, but a minimalist lifestyle helps you everyday, so even when little ones make a mess, getting your home tidy in a few minutes is possible. Many mums find it difficult to part with sentimental items - cards, gifts, artwork made the children. Do you have any tips on how you manage to curb the clutter? We have one big book where my daughter keeps her drawings and artwork so when it’s full we ask her which ones to let go of to make room for new creations. We take photos of the really good items so she can have them as a slideshow later on. I’m sure she will bring back a lot more once she starts school, however we will decide on a number so she can keep a few of her favourites. But for us mums we have to remember that the memory is not inside the sentimental items but in our minds and hearts. Taking a photo of a sentimental item will bring back the same memories and it helps me to let go. There are other ways to curb the clutter, this just works for us. How do you limit the colours you use in your home? Do you have any rules you stick to when decorating? Are you ever tempted to inject more colour into your space? A minimalist home does not have to be all black and white, it can have plenty of colours too. However scientifically the colour white is proven to have a calm and positive effect on us. I love white for all the light it brings into our home. 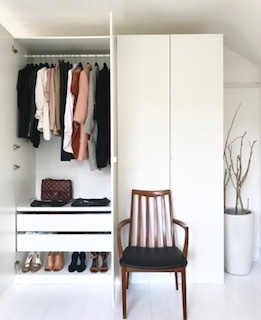 I normally stick to 1-2 main colours and 2-3 accent colours for both homes and capsule wardrobes when I work with my clients and for myself. My own colour scheme throughout our home is white, wood, black and brass. 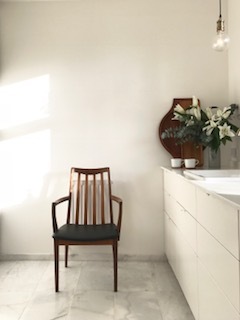 15 years of experience working as a personal and interior stylist manager for one of Scandinavia’s luxury store honed my eye for colours, materials and texture for a variety of tastes. That’s the great thing about minimalism - it’s different to everyone. I just enjoy providing people with the effective ‘tools’ to minimise. We don’t really have curtains so we admire all the amazing colours of nature through our windows. I bring in a few flowers if I need more colour, however being creative I love the calm of our white home and our guests always mention the calming effect too. I have a lot of creative ideas in my head, which are prompted from what I see when I’m travelling. However I like to get the best out of what people already have and then maybe add only a few items. Our home was designed on a very small budget and I love the extra creativity that adds. I do understand that it’s not our things that make us happy but the things we own need to serve us well. So we decided to only use a certain amount on our home and then travel instead. It’s no art to spend money but it’s an art not to. Most of my inspiration comes from being back in Scandinavia but at times just a walk in nature gives me great ideas too or I always save a beautiful photo if I find one. Where do you go in London to enjoy a calm moment? Normally anywhere near water, it has a magical and calming effect on me. After moving to London it’s the sea I miss the most. Where we live there is a very beautiful lake and I always make time for a calm moment by the lake twice a week. This is one of of the things that keeps me happy and calm. Thank you Kristina for your beautiful comments! Kristina limits the colour palette in her home but piles on the texture. Be inspired by Nordic designs, calm tones influenced by nature, and practical pieces that make a statement. From left to right: Harman table lamp from Habitat, £110; Liewood Maj Organiser in Dumbo Grey from Scandiborn, £45.95; maple and plywood bench from Stoff Studio, £1700; Large Polku Nordic blanket with pom poms from Firain.com, £75. Last month, Huma shared her secrets for creating a home filled with books and creativity. As well as being a busy mum of three little boys, she owns the beautiful online shop, our story time. Here, she has generously shares with us what minimalism means to her and her family. I'm pretty careful about maintaining a simple home while raising three little boys. But my definition of minimalist is not bare walls and stark furniture - which is completely not who we are! I run our story time, a store full of beautiful finds and products and for me minimalism has never meant emptiness, but living in a more curated, careful and considered way. Minimalism for me means living comfortably and beautifully and neatly - surrounding yourselves with only the things you love, and letting go of all the superfluous stuff we no longer need. It's simply low key and unfaddy. I don't believe there has to be a contradiction to this just because you have children and you certainly don't need to buy into everything that big brands and toyshops tell us that kids "need." How does this ethos influence your interior style? My boys' "play area" is part of our open plan living/family space where everything is on view in open shelves - so for practical reasons of space, we have limited room for toys. They have a lovely set of open shelves, which matches the rest of our shelving, which is just for their toys, right next to my desk. The toys on their shelves are often in baskets, cotton or wicker coloured ones. Bigger stuff is just on display. 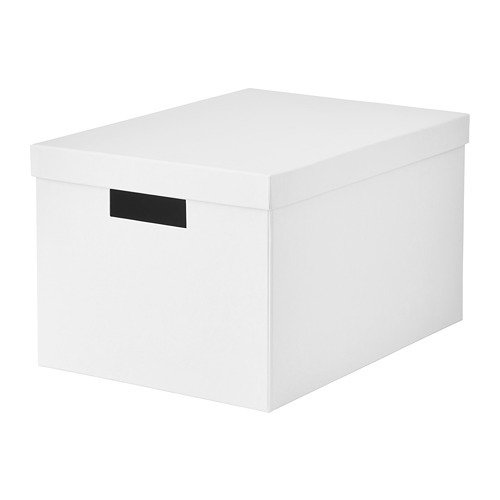 For toys that are in your living space, choose storage that fits the rest of your aesthetic. I use a lot of baskets - brilliant for building blocks, train tracks, lego etc. 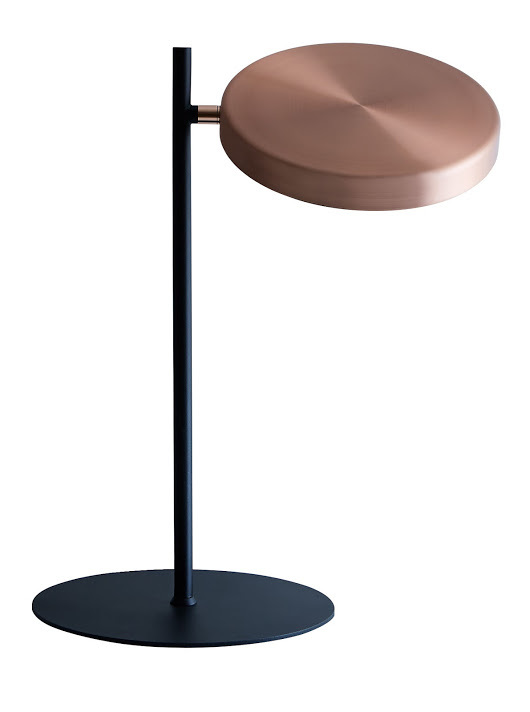 As long as they can access it easily and open it themselves, you don't need to go for children specific furniture (except for little chairs) or products (e.g. our boys' writing/drawing table is just a coffee table). When it comes to style, we have a fairly clean, simple aesthetic that is brought alive by layers, textures, textiles, art and hints of muted colours so wherever possible if toys are going to be on display, I try to choose things that look nice as well as have a purpose and be meaningful. This is easier with the baby's toys - a basket with a handmade rattle or a wooden Grimms rainbow are so nice to have out. But with my boys, I've found a lot of wooden trains and building-related vehicles etc. that look really cute out on their shelves. And they last a whole lot longer than plastic ones. What are your top tips for creating a 'minimalist' home with kids? Remember that less is more, you're not depriving your children if you choose not to fill your home with branded, plastic stuff. A lot of teaching philosophies advocate a less-is-more approach (like Montessori methods) which actually benefits young children as it helps them retain clarity and not get so overwhelmed or frustrated by "stuff." And it also helps them to think and play more imaginatively. Be brave - it takes guts to go against the mainstream and choose deliberately to live better with less and teach your kids that too. It's hard but you don't have to justify it, so stay true to your instincts. Think about quantities and strip back and edit - children don't need 20 cars when they probably only play with four or five. But if you have 20 cars, they'll forever be throwing them around trying to find the ones they really want. And then as parents, we get annoyed by the mess and then lose it when they don't help tidy it up. Objectively, it's not really fair on the kids because the children don't see it as mess - they're just trying to find what they want. Cut out the 15 other cars and you'll find the kids can find their favourite toys with no frustration, fuss or mess, and you have far less to tidy up (or ask them to tidy up). Introduce toy rotation. Prioritise clearing space for storage (this doesn't have to be pretty storage, this is storage you won't see) and put the bulk of toys/ games etc away here. And then just bring some toys out rather than all of them and switch it around every couple of weeks. Get the kids involved too so they have a say in what they'd like to put away and what they'd like to keep out for now. Throw out broken toys - there's no point keeping them! Thank you Huma for your practical suggestions! For inspiration and gift ideas, follow Huma's beautiful instagram feed @ourstorytime . From left to right: TJENA white storage box from IKEA, £2.25; Country Colour Weave Basket from Moonko, £30; Hand embroidered decorative hoop from our story time, £32; TÄHTI cushion in blush pink from Firain.com, £65. What are your tips for living in a minimalist way with your family?